Samsung recently launched a couple of Star Wars themed robot vacuum cleaners, the Samsung Star Wars POWERbots. One is designed to look like Darth Vader and the other one is designed to look like a stormtroopers. We previously saw a video of these Samsung Star Wars POWERbots in action and now Samsung has released another video of these robot vacuums. 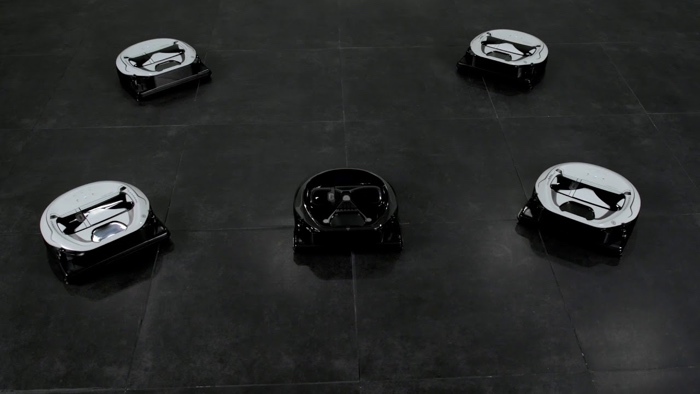 The latest video sees these Star Wars robot vacuum’s cleaning up the Death Star. On the commands of Darth Vader himself, Samsung’s Star Wars Limited Edition POWERbot™ robot vacuum cleaners have been deployed to the Death Star to strike back against dust and ensure that the battle station is fully armed and operational. Watch in the video below how the seven-strong Star Wars Limited Edition POWERbot™ team assemble and complete their duties with military precision. You can find out more details about the Samsung Star Wars POWERbots over at Samsung at the link below.